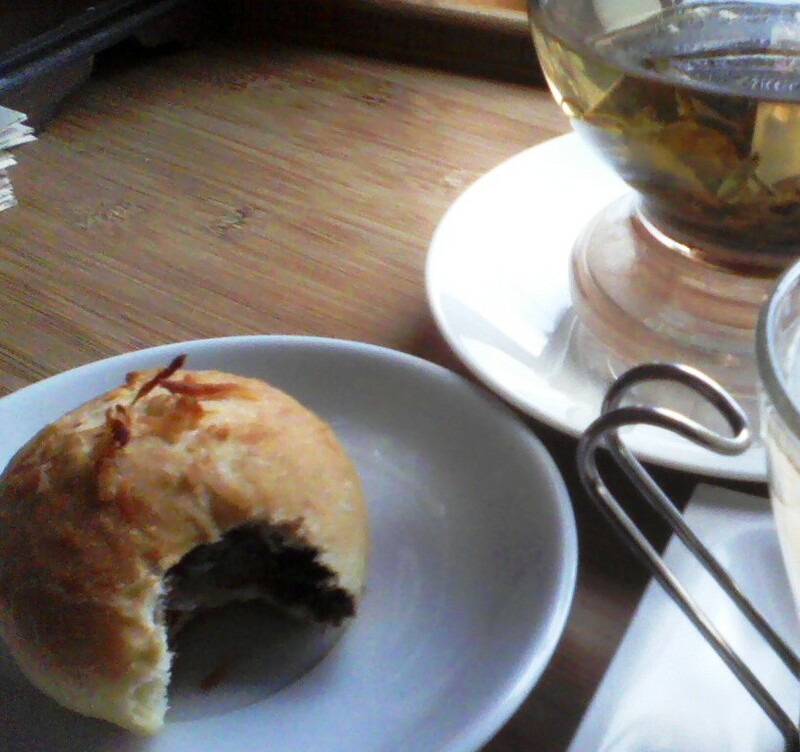 A warm Almond Joy (Nutella, coconut, almonds) and a pot of Green Lychee tea. A perfect fall treat! “My wife is having a love affair with this place,” was the customer comment I overheard yesterday at Happy Sparrow in SE PDX. And who can blame her? Fresh from the oven sweet or savory kolaches, seasonal barista concoctions, a great selection of loose leaf teas and the friendliest service in town. What’s not to love? Oh, did I mention the cheery decor, games and cozy nooks? Happy Sparrow was the 2009 winner of A Clear Place Award and I’m delighted to report they are still clearly in love with what they do … and so are their customers!